Low oil prices are both an economic headache and a potential social powder keg. Kazakhstan’s economy felt the plummet of oil prices over the past few years–its growth slowed from 7.5 percent in 2011 to 4.3 percent in 2014. The World Bank estimates that the Kazakh economy will bottom out in 2015, growing only 1.3 percent, before making a gradual recovery. The country has big plans nonetheless and a national strategy aimed at making Kazakhstan a top-30 economy by 2050. Still, the oil and gas industry is a powerful force–according to Stratfor energy exports account for a full quarter of Kazakhstan’s GDP and 60 percent of the government budget. Trouble with oil workers is the last thing Kazakhstan wants. It will be important for the government to manage this, and other points of tension, carefully. In 2011, oil prices were at a record high but Kazakhstan faced strikes and protests led by dissatisfied oil workers. In May 2011, oil workers in Zhanaozen went on strike–demanding better working conditions and higher pay for dangerous work. UzenMunaiGas a subsidiary of the state energy firm KazMunaiGas, fired some of the workers but the strike continued through the year with protesters occupying Zhanaozen ‘s central square. In December, however, the tone of the protests changed. According to the New York Times, “the strikers shifted their focus to political demands… including the right to form independent parties.” The sequence of events differs but on Kazakhstan’s independence day, December 16, violence erupted in the square. At least a dozen were killed by police and nearly a hundred injured. Protests spread to neighboring oil towns and Kazakhstan implemented a media blackout to stop news of the events from spreading. Kazakhstan’s President Nursultan Nazabayev made a show of firing local government officials and a handful of police were arrested, but according to human rights groups most of those actually prosecuted for the violence were protesters, in addition to journalists. This is becoming untenable for most of these firms. KazMunaiGaz’s profits have fallen by 65 percent over the past year. Western firms in Kazakhstan, such as Royal Dutch/Shell, BP, Eni, Total and Chevron, want to lower their overall capital expenditures around the world, and Kazakhstan — where they have several major projects in the works — is an option for spending cuts. 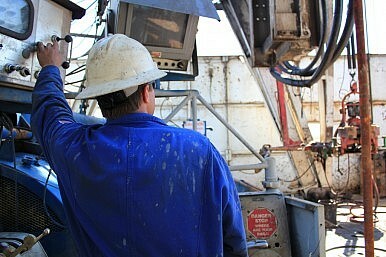 Oil workers at the offshore Kalamkas-sea field reportedly went on strike in January. In Aktobe, the Kazakh-Chinese company (called Velikaya Stena JSC but also known as Sino-Kazakhstan “Great Wall” Drilling Company (SKGW)) employs over 2,800 people–mostly local Kazakhs and 23 Chinese exports, according to Tengrinews. The company is a joint venture between China National Petroleum Corporation (CNPC) and Kazakhstan’s AktobeMunaiGas. China has invested heavily in recent years in Kazakhstan’s energy sector, leading to some friction with local workers while also providing the funds to continue exploiting Kazakhstan’s resources. The oil project met its deadline, but will it be sustainable?